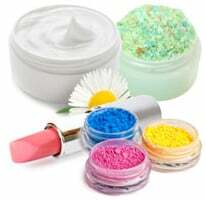 Oil & Water Dispersible Powder- Titanium dioxide is a very common, natural mineral that is used to whiten cosmetics, soaps, lipsticks, exterior of candles, and toiletries. 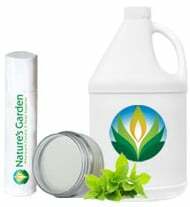 Cosmetically safe for lips, face, eyes, and nails. Our titanium dioxide is NOT micronized. Pound bags of titanium dioxide are packaged in bags, not jars. It can be added to melted candle wax to make the wax whiter in color. 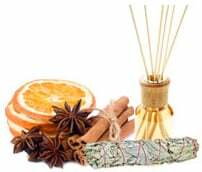 However, when using titanium dioxide in candle wax, only use it for overdips. 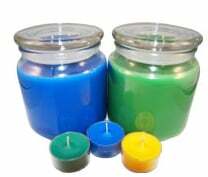 Titanium dioxide will clog wicks if used in the interior of a candle. Typical usage of titanium dioxide for dipped candles is 1% titanium dixide to 3%-6% stearic acid. Titanium dioxide is used in mineral makeup as your matte base. Allows your product to flow nicely. 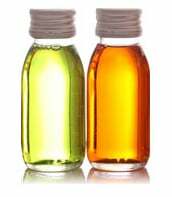 When making CP soaps, lotions, and other products containing oils, be sure to add the titanium dioxide to the oil or water phase of your formulation so that it disperses nicely. 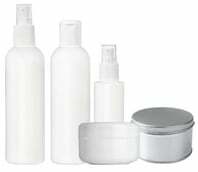 Usage level is no more than 1 teaspoon per pound of soap/cosmetic product. When using Melt and Pour Soap Bases, add titanium dioxide to a small amount of vegetable glycerin and thoroughly blend. Then add this mixture to your melted soap base. Usage level is no more than 1 teaspoon per pound of soap/cosmetic product. Purchasing this can earn you up to 7.99 ($0.08) or more rewards points! Bought the 16 oz size since TD is my primary source for white in CP soaps. I also use it to lighten other colors, especially oxides & ultramarines. I prefer the oil dispersible TD since you can premix a larger batch to keep on hand versus the water dispersible. Even though it's not micronized, I've never had a problem with being able to mix it well. Good TD for a good price. I enjoy this whitener in the white portion of my cp soap swirls, it truly make a difference! Make soap white...if mixed well enough! You have to REALLY mix this stuff to avoid white spots in your soap. Does make my soaps nice and crispy white when mixed well in advance.